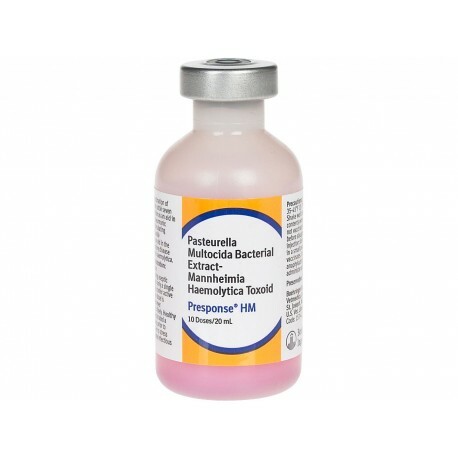 For vaccination of healthy dairy or beef cattle 7 mos of age or older as an aid in the prevention of pneumonic pasteurellosis by stimulating immunity to P. multocida and P. haemolytica. Killed vaccine protects against IBR, BVD, PI3 and BRSV. Can be used in cattle of all ages and stages of production. Dosage: 2ml IM or SQ. Repeat in 14-28 days. 21 day withdrawal. Killed vaccine protects against IBR, BVD, PI3 and BRSV, and Pasteurella haemolytica. Dosage is 5 cc given SQ, repeat in 14 to 28 days. Safe in pregnant cows. 21 day withdrawal. 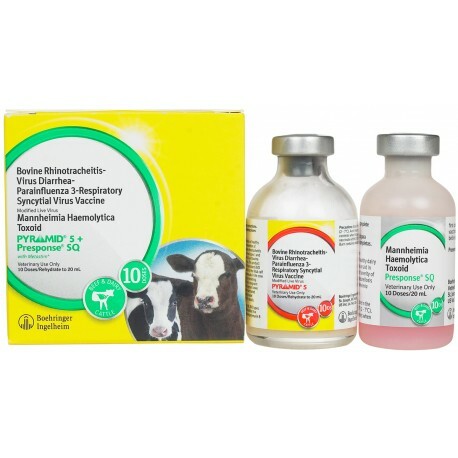 Pfizer - For vaccination of healthy cattle, including pregnant cows and heifers and calves of any age, as an aid in the prevention of disease caused by IBR, BVD Types 1 and 2, PI3 and BRSV. 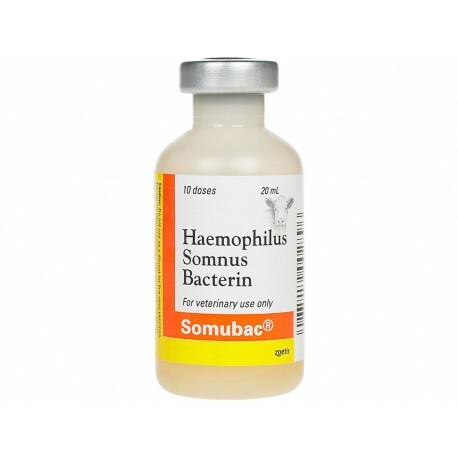 Pfizer - H. somnus bacterin for use in healthy cattle and calves for prevention of disease caused by Haemophilus somnus. 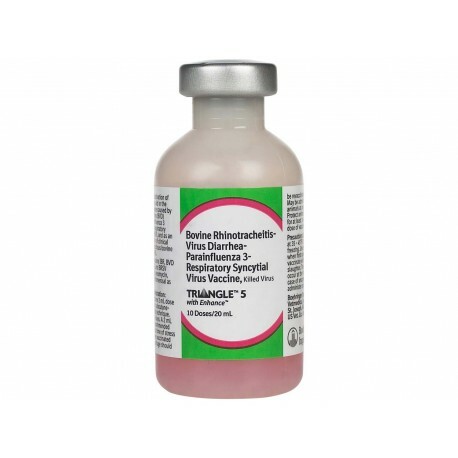 Dosage: 2 ml SQ, repeat in 2-4 wks. Animals should be vaccinated at 3 mos. or older. Revaccinate annually. 21 day withdrawal. 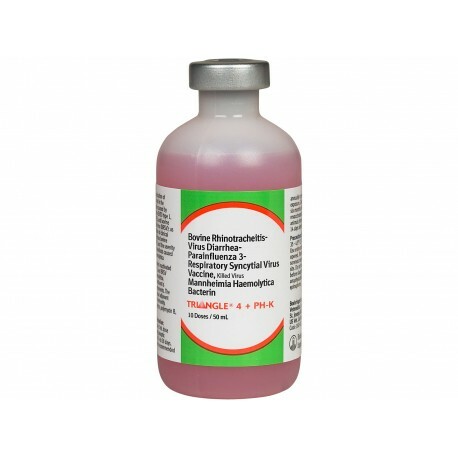 Pfizer - A nasal administered parainfluenza-3 and bovine rhinotracheitis vaccine with disposable nasal cannulas. 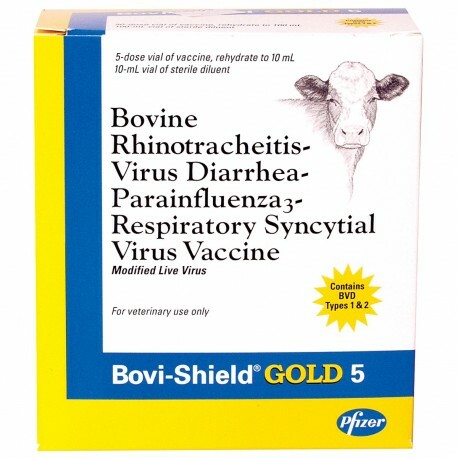 Provides safe, solid and early immunity in very young, pregnant or stressed animals without serious side effects. Dosage: 2 ml intranasally. 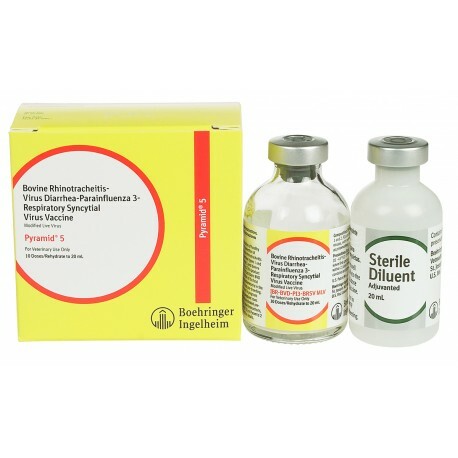 Pfizer - New 2 ml dose 7-way blackleg vaccine containing a special water soluble adjuvant, Stimugen. 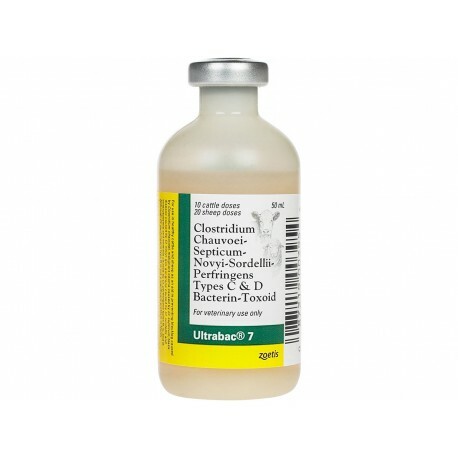 Protects against Clostridium chauvoei, septicum, novyi, sordelli and Clostridium perfringens Type C & D. Give 2 ml SQ, then booster in 4-6 weeks. Annual booster is recommended. 21 day withdrawal. 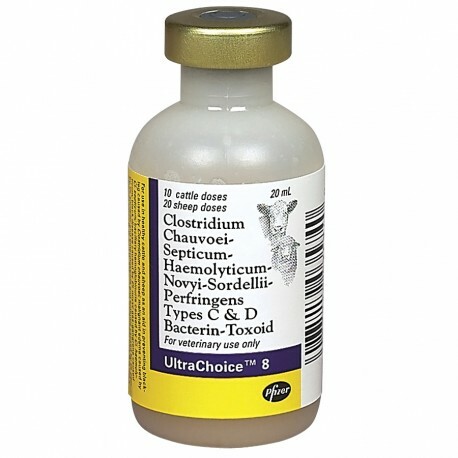 Pfizer - Killed bacterial vaccine for protection against diseases caused by CI. 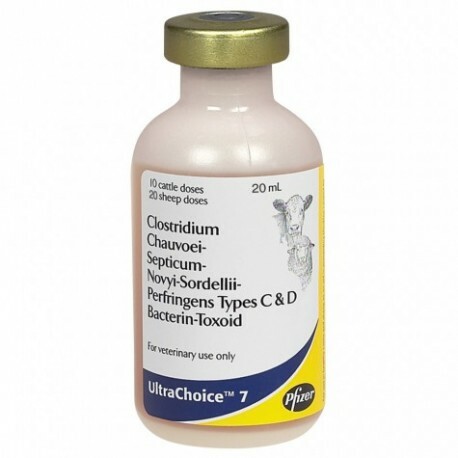 chauvoei, septicum, novyi, sordellii and perfringens types C & D in healthy cattle and sheep. 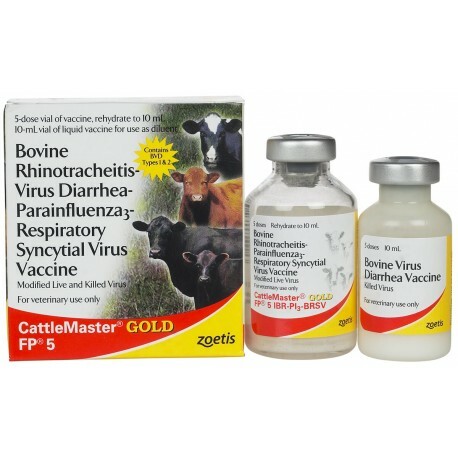 Dosage: Cattle - 5 ml SQ. Sheep - 2.5 ml SQ. Revaccinate in 4-6 weeks. Revaccinate annually. 21 day withdrawal.